The Kingdom of Saudi Arabia is a forest deficit country due to high temperatures and lack of water resources, covering only 1.0% of the country’s landmass. The unfavorable climate not only causes low vegetation forests, but also makes it hard to re-establish forest vegetation once destroyed. Factors responsible for thin forest cover include low and variable rainfall, high temperatures; and low humidity. The lack of rivers and scarcity of underground water also have a great influence on forest stands of Saudi Arabia. In addition to these factors, anthropogenic activities like over-grazing, illegal felling, and heavy extraction of wood fuel by the locals highly damage the local forests, hampering the natural growth and making regeneration of the forests very slow. To bring back the forest cover, various afforestation and tree planting programs, though very expansive, have been initiated in the Kingdom. However, to keep the existing forest cover in place, the most viable option would be to encourage and ensure the participation of all the stakeholders comprising locals, NGOs, government, industries, academicians and Extension Educators in protecting and conserving the prevalent forest stands through an appropriate and acceptable forest management plan. Among the available strategies to enhance and ensure this participation, the role of forestry extension and education is of paramount importance. Forestry extension programs can help educating stakeholders involved in planning, developing policies and undertaking institutional measures aiming at improving the existing forests. This chapter aims to highlight the importance for the Kingdom of a plan that focuses on reforestation, restoration and afforestation, and establish the significance of local participation to slow, halt and reverse deforestation, illegal harvesting and forest degradation. 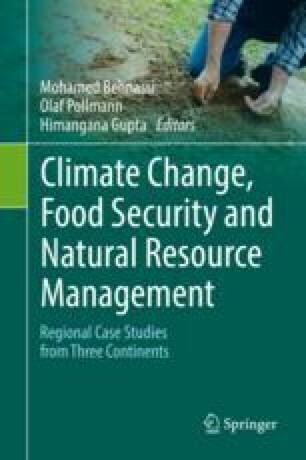 The chapter also provides information on the challenges and constraints currently faced by forests, and discuss the possible roles of participatory management approach and forestry extension education in improving the situation and moving towards a sustainable future. The authors are extremely grateful and express their gratitude to the Saudi Society of Agricultural Sciences for extending us all the possible help and sincere cooperation toward the completion of this piece of work and research. Abido, M. S. (2000). State of the environment and policy restorative: 1972–2002 (Forests: West Asia, pp 113–115). Available at: http://www.unep.org/dewa/WestAsia/assessments/national_SOEs/Other%20SOE%20Reports/GEO3/GEO3_fores t.pdf. Dregne, H. E., & Chou, N. -T. (1992). Global desertification dimensions and costs. Center for International Earth Science Information Network 1992. http://www.ciesin.columbia.edu/docs/002-186/tab2c.gif. El-Juhany, L. I., Aref, I. M. (2013). The present status of the natural forests in the Southwestern Saudi Arabia: 3- Asir and East jazan forests. World Applied Sciences Journal 21(5):710–726. https://doi.org/10.5829/idosi.wasj.2013.21.5.2841. FAO. (2005) Global forest resources assessment (2005). Available at: http://www.fao.org/forestry/country/32185/en/sau/. FAO. (2013). Managing forest for the future. http://www.fao.org/docrep/014/am859e/am859e08.pdf. Gilmour, D. A., Van San, N., & Tsechalicha, X. (2000). Rehabilitation of degraded forest ecosystems in Cambodia, Lao PDR, Thailand and Vietnam: An overview. conservation issues in Asia. A joint publication of IUCN/WWF/GTZ Working Group on Community Involvement in Forest Management (IUCN), In Andrew Ingles (Ed. ), Head, Regional Forest Programme. Pathumthani, Thailand: IUCN, The World Conservation Union Asia Regional Office, Klong Luang. Available at: assets.panda.org/downloads/lowermekongregionaloverview.pdf. Ministry of Economy and Planning, Saudi Arabia. (2010). Kingdom of Saudi Arabia. The ninth development plan 1431–1435 H. Available at: http://www.mep.gov.sa/. Accessed 1 Feb 2012). UNCCD. (2006). Executive summary. The third national report for the Kingdom of Saudi Arabia. Submitted to the Implementation of the United Nations Convention to Combat Desertification (UNCCD). Paris. France. Available at: www.unccd-prais.com/.../GetReportPdf/798b2cc4-1772-4726-a3f7-a0fa. UNCSD. (1998). United Nations Commission on sustainable development information note on assessing, monitoring and rehabilitation of forest cover in environmentally critical areas. Background Paper. The United Nations Department of Economic and Social Affairs (DESA). Available at: http://www.un.org/documents/ecosoc/cn17/iff/1998/background/ecn17iff1998-bgamrfc.htm. US Forest Services. (2009). Invasive plants. Northeastern Area. Available at: http://na.fs.fed.us/fhp/invasive_plants/index.shtm. World Bank. (2014). Saudi Arabia. Little data book. Available at: http://data.worldbank.org/sites/default/files/the-little-data-book-2014.pdf. Accessed on 19 Dec 2014.